Human rights and international justice advocates around the world breathed a collective sigh of relief this past week. After ten years in power, the Conservative government of Stephen Harper was replaced in a massive defeat at the hands of the Justin Trudeau’s Liberal Party in the 42nd Canadian federal election. But after a decade that has seen Canada’s reputation on human rights and international justice erode, the expectations of the new government are soaring. How will the Liberal Party’s slogan of “real change” translate in international relations? In the coming weeks and months, the Liberal government will have to start meeting the expectations it set during the election. When it comes to international justice, there are many policies the new Canadian government could implement in order do so, as outlined in a public letter published two weeks ago. One specific policy that would dramatically improve Canada’s standing, impact, and influence in the international arena is to create and appoint a Canadian Ambassador of International Justice in the country’s Department of Foreign Affairs, Trade and Development. Here are four reasons why. 1) Creating the post of an International Justice Ambassador would signal to the rest of the world that Canada has turned a page and is once again serious about international justice. The failings of the previous government are well known and well documented. But any attempt to justify power by relying on the fact that “we’re not Harper” will quickly become old and insufficient. Moving forward, significant investments in restoring Canada’s international reputation need to be made. There is, of course, precedence for such a position. The United States has as Ambassador at Large for War Crimes Issues. Canada could emulate the mandate of its own International Justice Ambassador after the American model. In doing so, Canada could become a leader in instigating a movement whereby countries around the world do likewise and collectively elevate the diplomatic importance of international justice and accountability issues. 2) Canada has an embarrassment of riches when it comes to qualified candidates for such a post. These individuals deserve to not only be celebrated but empowered. There are many potential candidates but one that sticks out is Louise Arbour. Her qualifications are astounding. She has been the former Prosecutor for the International Criminal Tribunals for the Former Yugoslavia and Rwanda, the United Nations High Commissioner for Human Rights, a Canadian Supreme Court Justice, and the Executive Director of the International Crisis Group. When Arbour speaks, people listen – and if they don’t they should. Imagine her, or someone of a similar ilk, advocating for justice issues and representing Canada abroad. It just makes sense. Whether it is as an Ambassador of International Justice or otherwise, the government should do everything in its power to tap into Arbour’s diplomatic, legal and intellectual expertise. 3) Creating an International Justice Ambassadorship would serve the government’s interests. This isn’t simply an issue of rescuing Canada’s reputation on issues of international accountability for its own sake. The new government would clearly benefit from doing so. 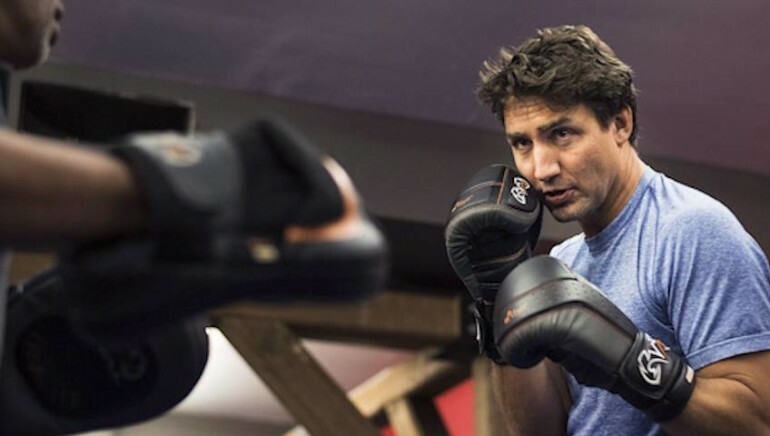 The position would help to recast Canada as a middle power investing in its soft-power capacities, something that the Liberal Party has said it will seek to do. Relatedly, it would garner the country prestige which Canada historically counted on in order to punch above its weight in other diplomatic and international political circles. It would also allow Canada to reclaim its expertise in understanding how respond effectively with accountability measures in times of conflict. The Ambassadorship’s would create an office of expertise for various and complementary approaches to justice and accountability issues as well as the various tribunals in one place. Finally, it would get the government into diplomatic circles and rooms that the Conservatives refused to enter or were ignored by and facilitate the government’s desire to have its finger on the pulse of issues far beyond those of international justice. 4) Finally, the position would help to educate Canadians on issues of international justice and accountability through a transparent and public office. Yes, the Ambassadorship would be primarily outward looking and seek to represent Canada in global fora. But it could also contribute to the national conversation on issues of justice, accountability, responsibility, and reconciliation. It is well known that Canada has its own historical and ongoing issues with injustice, including the treatment of native and aboriginal peoples and the poor conceived plan to deport, rather than to bring to justice, alleged war criminals living on Canadian soil. The benefits of creating an International Justice Ambassador in Canada are enormous – for international justice, for the Canadian government, and for Canadians. And those benefits could be achieved at very little cost. Indeed, such an Ambassadorship would be remarkably simple to set up. I want to say this to this country’s friends around the world: Many of you have worried that Canada has lost its compassionate and constructive voice in the world over the past 10 years. Well, I have a simple message for you on behalf of 35 million Canadians. We’re back. Trudeau has talked the talk. Now it’s time to walk the walk. This entry was posted in Canada, Human Rights, International Criminal Justice, International Law and tagged Justin Trudea, Louise Arbour. Bookmark the permalink.